The Island is majestically placed between the Deschutes River and Crooked River where they enter Lake Billy Chinook. Towering in the heart of The Cove Palisades is the park’s most remarkable features, an area called the Island. From many viewpoints, this “Island” looks to be a giant (I mean, enormous!) 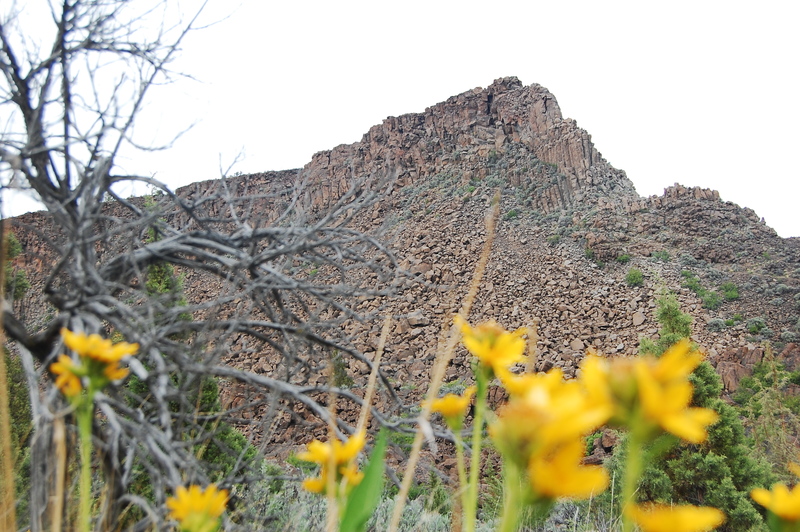 pile of rusty basalt rocks with some sprinkled Juniper on top. The terrain to the very highest appears treacherous, leaving behind a mystery of what could possibly live at the flat-top. The Island, as viewed from the Interpretive Office at Cove Palisades. The unique species that live on the The Island are truly what makes the landmark unique and special, and in a few ways, unlike any other place on this very earth. First, let me start off by clarifying that The Island, though appearing like an isolated body of land in the center of the lake, is in fact a peninsula. On the south end, the landform meets up with the Crooked River Peninsula, but this side tends to hide behind the mighty Island if you are viewing the landform from most sections of the lake. So why call it “The Island” if it’s really a peninsula? The early homesteaders (late 1800’s to early 1900’s) nicknamed the piece of land the Island due to it’s appearance, luster, and value to them. They enjoyed recreating on the piece of land, and at one point even herded sheep at the very top. Today, the treacherous trail used to get to the top of the island (more or less a scramble), is now closed and for good reason. Increase of visitation, establishment of trails, and introduction of non-native species led to the closure of casual recreation use in 1997. After years of research and monitoring, it has been determined that the island provides a unique, undisturbed environment for multiple rare and unusual species. These species include one of the last remaining stands of undisturbed (and what some consider) native Western Juniper that have not adapted to have both male and female parts. 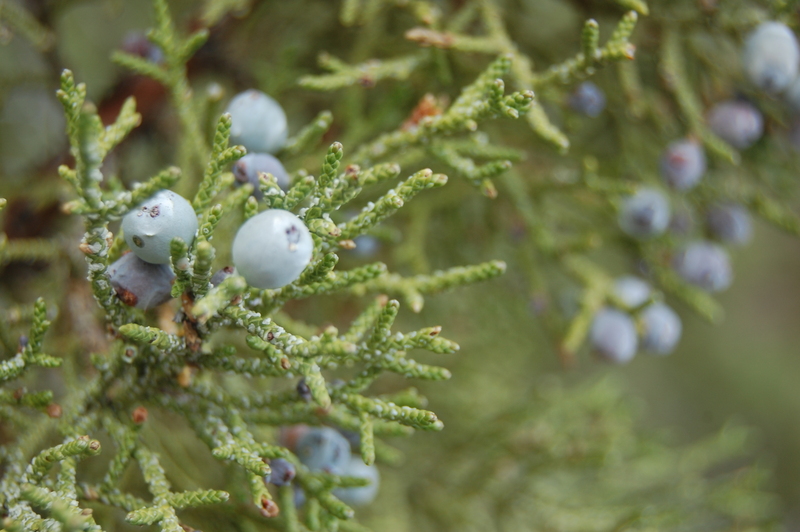 This means that many of the Juniper on the island possess only cones or only berries, not both. In the high desert of Oregon, you will often find juniper trees that have both cones and berries, making it easy for them to cross-pollinate/reproduce and invade the landscape! A good reason we see them EVERYWHERE! Certain Western Juniper on the Island inhabit all male or all female characteristics. Another awesome species to live on the Island is super cool and rare form of woven-spored lichen, and there are less than 20 populations known in the Pacific NW. It loves to thrive on decomposing matter. 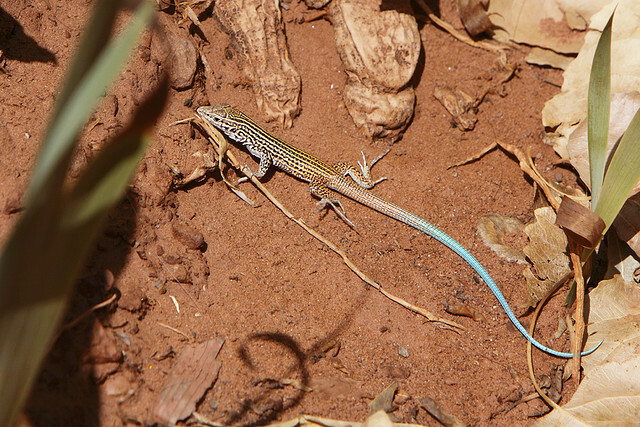 The Island hosts the unusual Striped Whiptail Lizard (Cnemidophorus velox), an amazingly cool lizard that has very cool striped markings and colorful blue tail. It is believed that this lizard may have made it’s way to the Island and the Cove Palisades State Park by catching a ride on someones car years ago. You can see this lizard zipping around (they are fast little buggers!) the park in the Spring and Summer months. Last July, I managed to get on the list for the annual Island Medusa-head pull. Medusahead (Taeniatherum Caputmedusae) pose a threat to the ecological integrity of the island, and they are a noxious weed that loves to take over. A selected group of representatives from multiple land management agencies (including USFS, BLM, Oregon State Parks, and more) were granted the special opportunity to visit the island to pull these weeds, and were properly trained on how to leave no trace and step in places that would not be harmful to the environment. View the slideshow below for a few photos from this noxious weed-pulling extravaganza! In May 2012, the Island was recognized by the National Park Service as a National Natural Landmark. 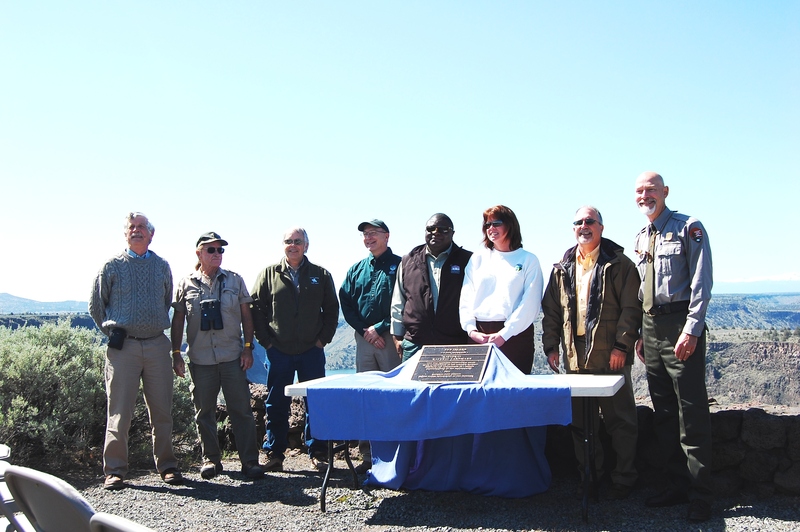 A grand ceremony was held for the unveiling of the plaque that recognizes the landmark, deeming it sacred for it’s cultural, historical, and ecological value. For more information visit this website and view the PDF on the Island guidelines. The keynote speakers at the Island National Natural Landmark Ceremony and the unveiling of the plaque. Please note that the trail to the Island is closed and that you may view the Island from many viewpoints in the Cove Palisades State Park. 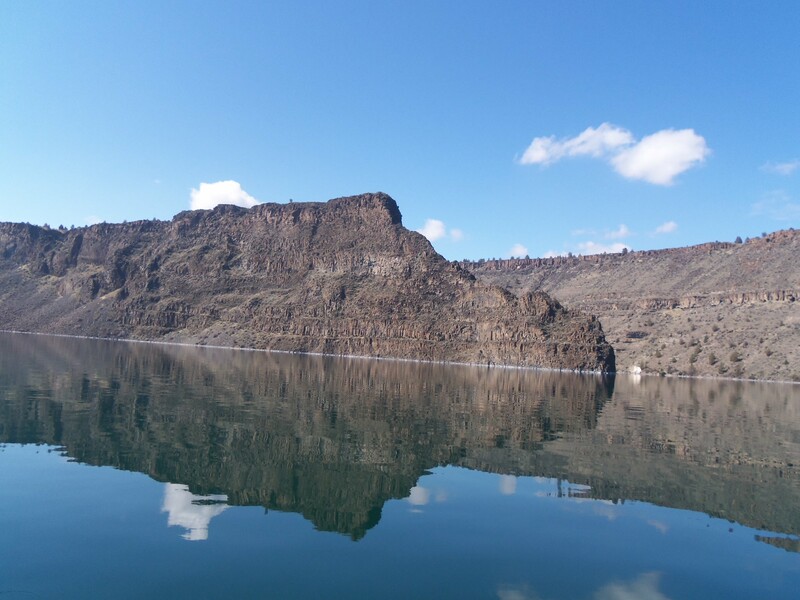 We are so lucky to have such a sacred piece of land at the heart of Lake Billy Chinook! Lucy just chillin’ in her crib – complete with an awesome climbing stick, photo of her hometown, and a heart-shaped poster of teen dream Lord Voldermort. For more info on Gopher Snakes, click on Gopher Snakes! This week, Ranger Talia got the awesome opportunity to go out with the PGE Round Butte wildlife biologists Rob and Thad to assist with their annual waterfowl survey on Lake Billy Chinook. Talia learned all about the different types of birds that just love the lake in the Cove Palisades State Park, and their interesting features. She also obtained an awesome species list for Jefferson County, so she can develop her waterfowl, raptor, and small-bird programs for the exciting 2013 Summer Season that is just around the corner. View the photo story below to see some of the great sites during the boat tour! Last Tuesday, the students of Culver High School’s S.T.E.M. 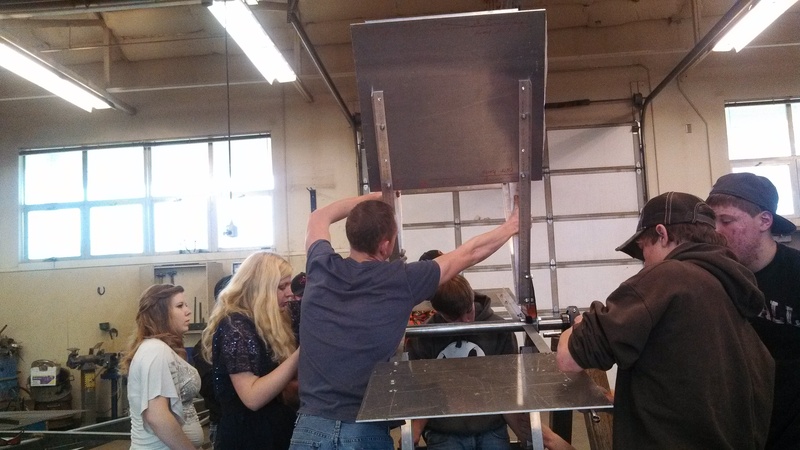 Learning class put the final touches on a paddle-wheel they designed for an irrigation ditch running near the Crooked River Campground. 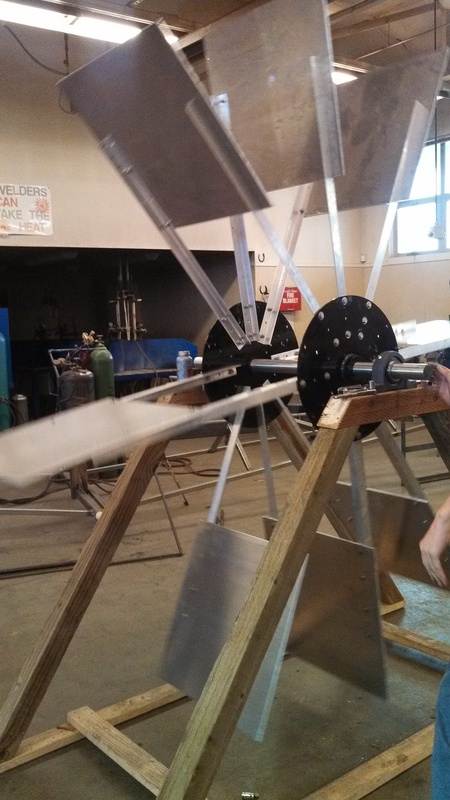 The students have been applying mathematical and engineering principles to design the paddle-wheel, in hopes to generate hydroelectric power to supply electricity to a portion of the campground. Ranger Talia and Park Manager Dave Slaght were present for the debut of the paddle-wheel, along with Chad Bethers from Elite Electric. The project has also sparked interest from the High Desert Education District, who were inspired to contribute what they can to the class. 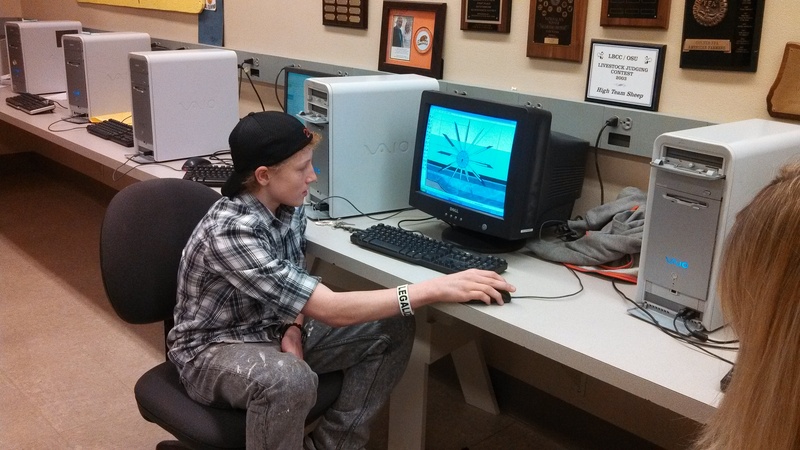 By viewing this Environmental Education partnership in action, they hope to purchase engineering software for students to use in the computer labs. The next step? To build a foundation for the paddle-wheel and implement strategies to keep the wheel running efficiently and safely. We are so stoked for the installation and so impressed by the brilliant minds of these young engineers! Students apply anti-cease to increase the longevity of the bolt threads. 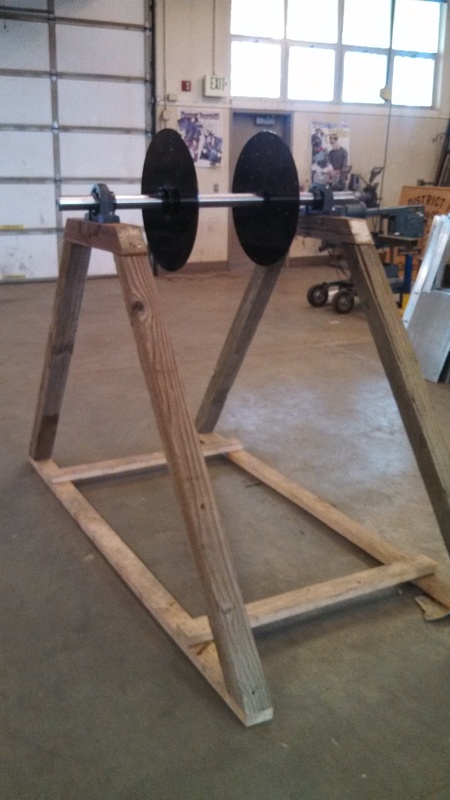 The water wheel base, constructed by students of Culver High School. Students used Sketch Up to illustrate and conceptualize the project. 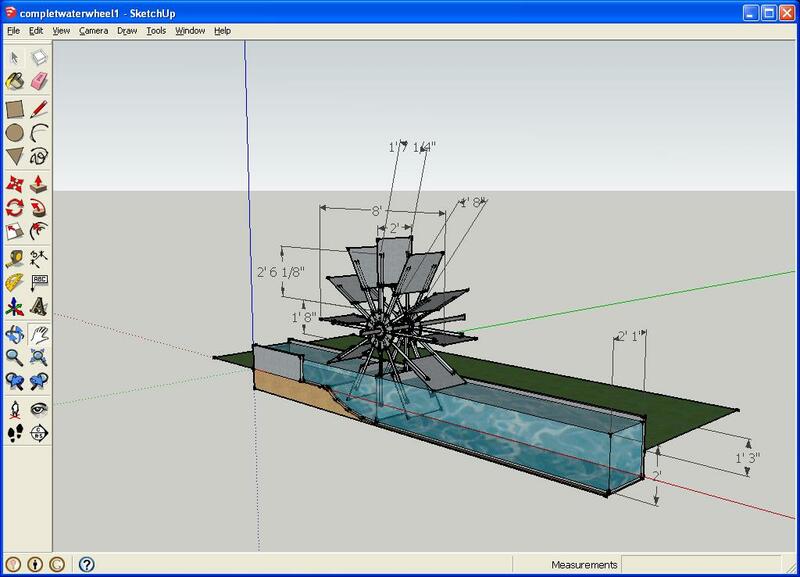 Students used Sketch-Up to design the water wheel. S.T.E.M. 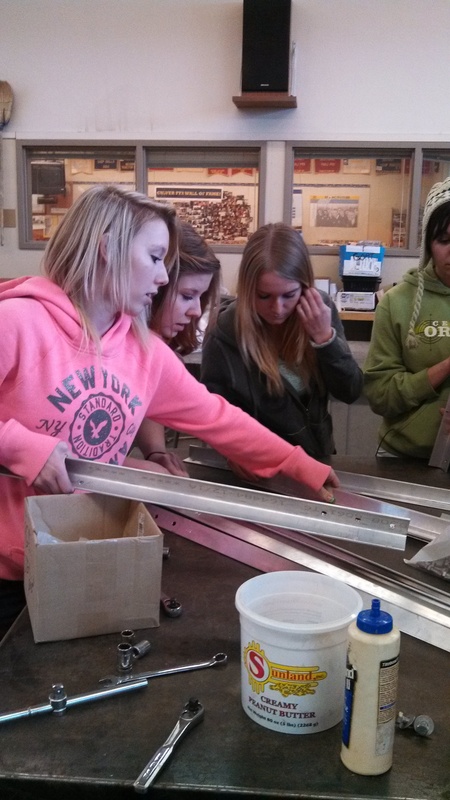 Students work together to assemble the water wheel. Setting the project in motion.